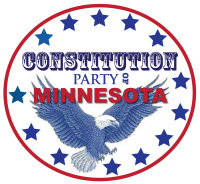 Join the MN Constitution Party Today! *The annual membership costs are $25.00 for single, $40.00 for a married couple. The membership revenue goes toward administration, State Fair, annual convention, literature, and other annual operational expenses. Board members volunteer their time and some travel hundreds of miles annually to conduct party business.